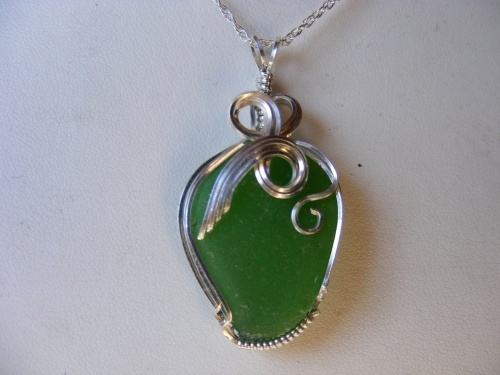 This pretty kelly green piece of authentic seaglass is drapped with sparkling argentium silver curls. Pops with beauty!Measures 1 3/4" from top to bottom and not quite 1" wide. Comes on an 18" sterling silver chain.